I chat to Francis McCarthy, Senior Marketing Manager at Unikrn. He was previously on Season 2. Now he’s back for a 2 part episode (S3E3 & S3E4). Francis has been living in Seattle, USA. We cover what its like travelling in the US, role of the media and we go all out on our favourite topic, the NBA! For Episode 3 (aka part 1) go here. I chat to Francis McCarthy, Senior Marketing Manager at Unikrn. He was previously on Season 2. Now he’s back for a 2 part episode (S3E3 & S3E4). We always have an awesome chat and this time is no different! We cover everything from esports to my favourite sport, NBA! We also go in depth to chat about the future of content in Snapchat stories vs Instagram stories, Snap’s IPO and Medium. For S3E4 (aka part 2) go here. 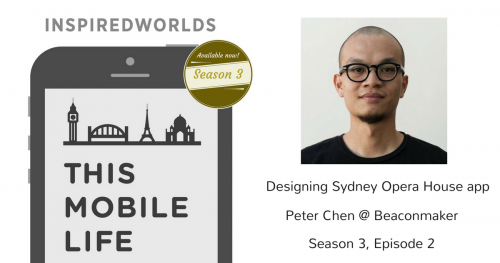 I chat with Peter Chen, Head of Design & Co-founder at Beaconmaker. I met Peter via the Sydney Opera house hackathon which he won. Peter previously was Head Of Design at Yatango. He also has a lot of digital and advertising agency experience at Holler, Tribal DDB, Soap Creative and WHYBIN. I’ve always been impressed by Peter’s designs and his approach to design. So super excited to be chatting to Pete himself – also his twitter handle! 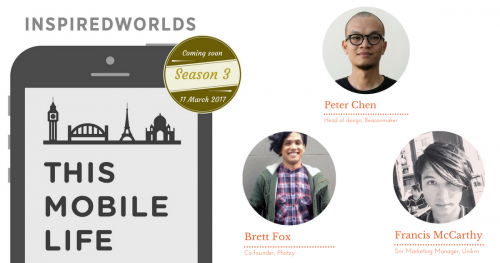 This Mobile Life Podcast – Season 3 Now Available! Woohoo! I’m now back with Season 3 of This Mobile Life. After a break of 1 month, the new episodes are now out. I was actually recording during my break. I used the time to collect my thoughts, do some planning and catchup with some friends to record a podcast! 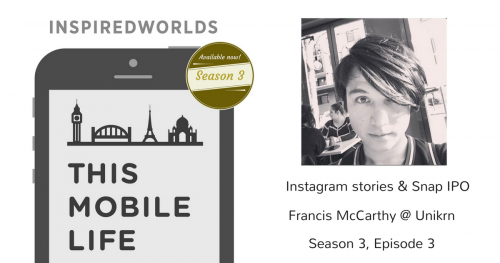 This is the final episode of Season 2 of This Mobile Life! 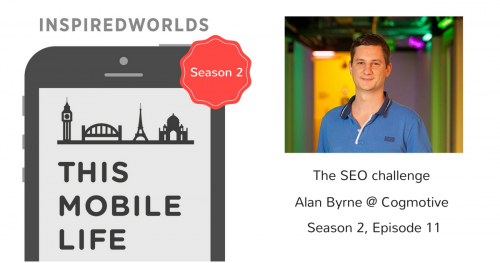 We chat to THE App Store Optimisation (ASO) expert, Gabriel Machuret from ASO Agency. He’s the “mercenary of the download”. 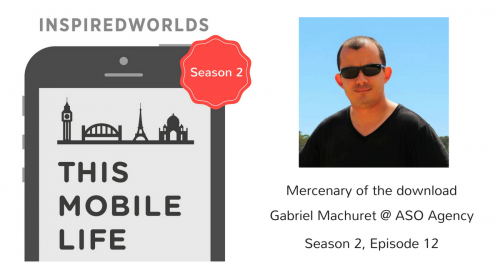 Gabriel has written the first book on ASO, courses on Udemy and has worked on ASO for hundreds of mobile apps. His clients include Tinder, EA Games, Redbull and Xerox. He also has a podcast on ASO! In this podcast, we’re hailing from TechCity in London! We interview Alan Byrne, co-founder of Cogmotive. Alan is a Sydney transplant now living abroad in London. We’re super excited to interview Alan as he is also a moderator of the Sydney Startups Facebook Group. I found out that when we met up that he’s running a SaaS business, so we had to interview him for the podcast! Cogmotive’s vision is to create tools to make SysAdmins and IT Managers’ lives simple – or at least simpler – by equipping them with the data they need while saving them time. Cogmotive is the leading global provider of enterprise level reporting and analytics applications for Office 365. They manage over 4 million seats & are used in 200+ countries. 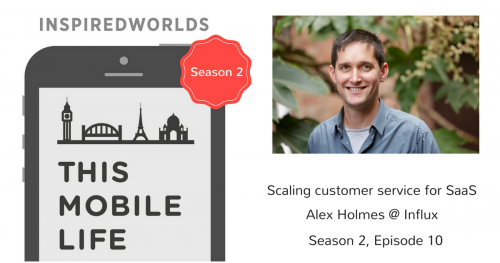 We chat with Alex Holmes, CMO from Influx. Influx helps you get customer support, done. They provide elastic support which is based on a transactional model. Influx focuses on assisting SaaS and eCommerce businesses. Alex is an online marketer by trade, having worked at Envato, Tripit and other online companies. 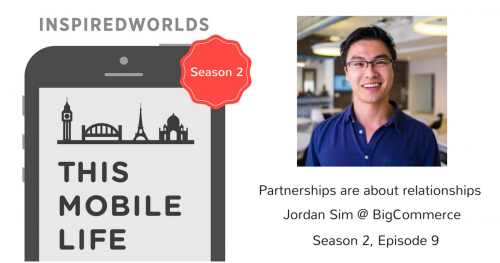 I chat with Jordan Sim, Group Product Manager at BigCommerce. He focuses on enabling and implementing strategic business development partnerships with the BigCommerce product. Jordan oversees two areas – order fulfilment and shipping logistics. He’s launched and managed product integrations with Intuit Quickbooks, Alibaba, and led the transition of MagentoGo & eBay Prostore clients to BigCommerce.